Good morning! 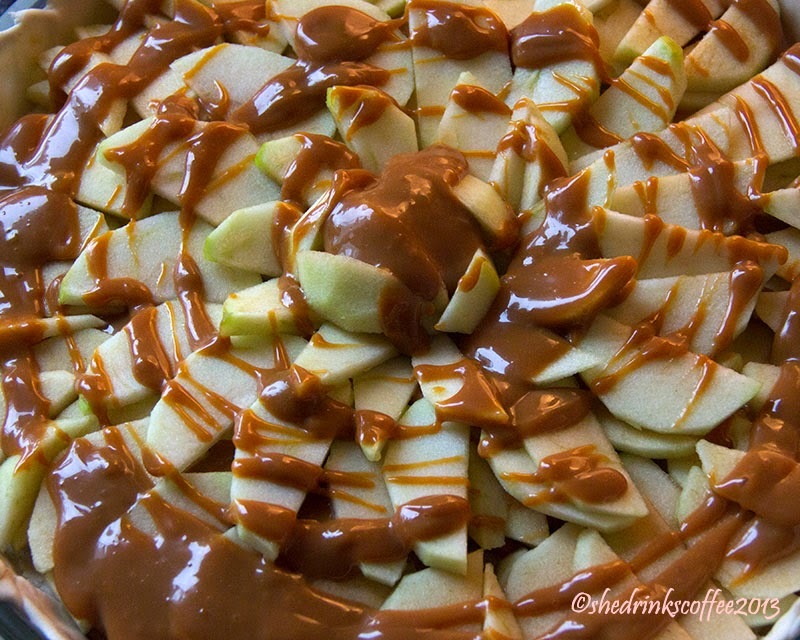 I feel like it's been forever since I've shared a recipe, so to get back in the swing of things, I present a quick and easy Salted Caramel Apple Pie. It's just the thing to warm up a cool autumn afternoon. Preheat your oven according to the directions of your pie crust. 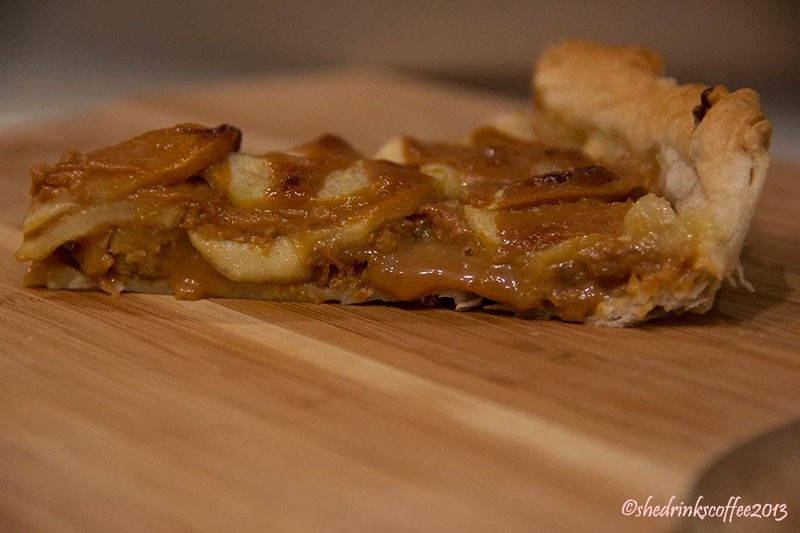 I was super cheeky here and used a pie crust that had already been rolled out for me, so I simply draped the crust onto my pie pan and pressed it into place. 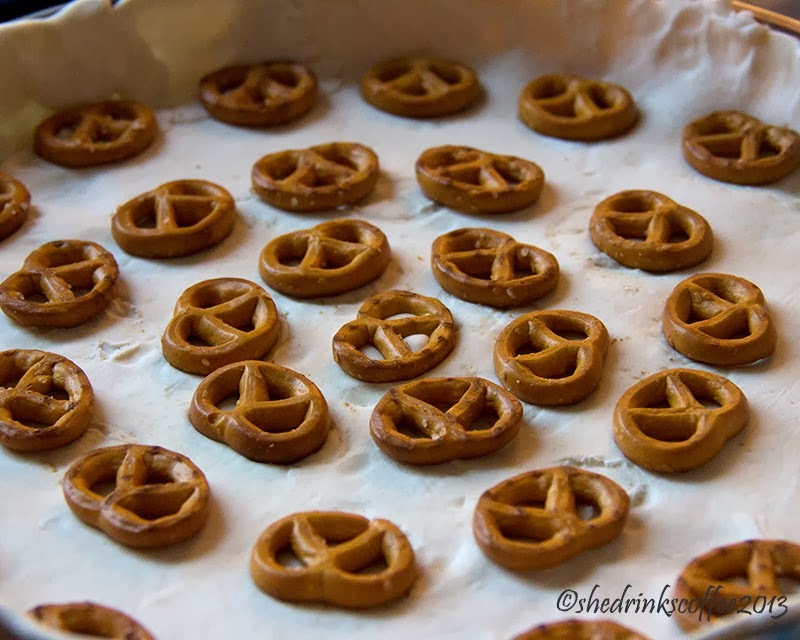 Next step is to press the pretzels into the pie crust - an idea completely inspired by Joy the Baker's Instagram feed, which is insanely delicious and to be checked out if you haven't all ready done so. Thank you Joy the Baker! 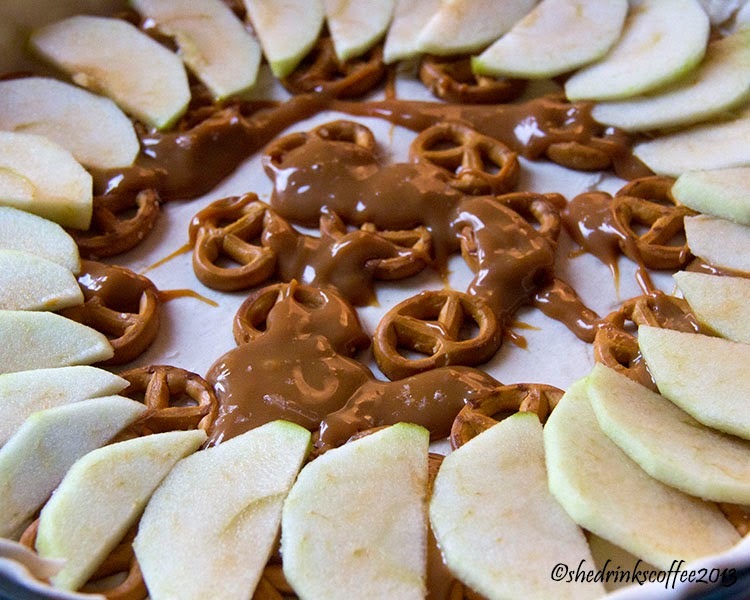 Next time I make this, I'm doubling the number of pretzels and spacing them closer together. 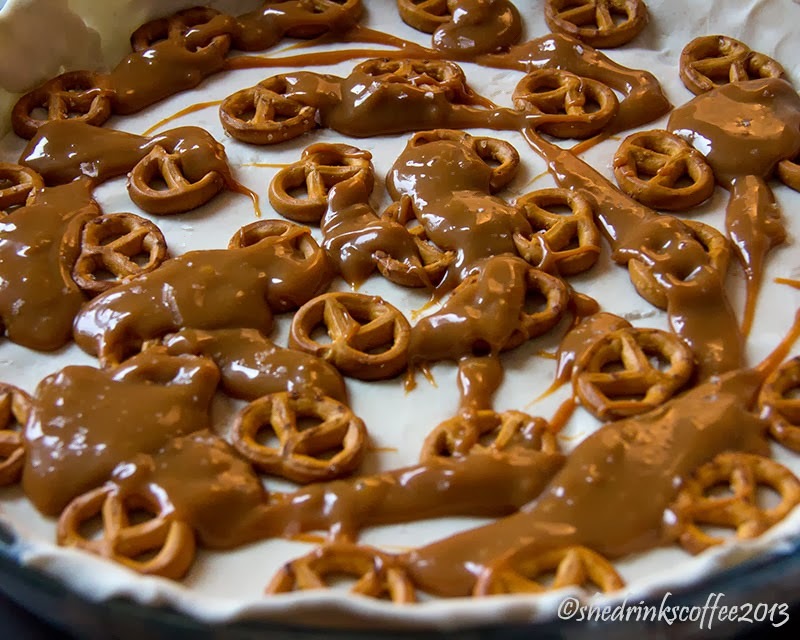 Then pour the caramel over the pretzel-y pie crust, and lightly sprinkle it with a pinch of sea salt. 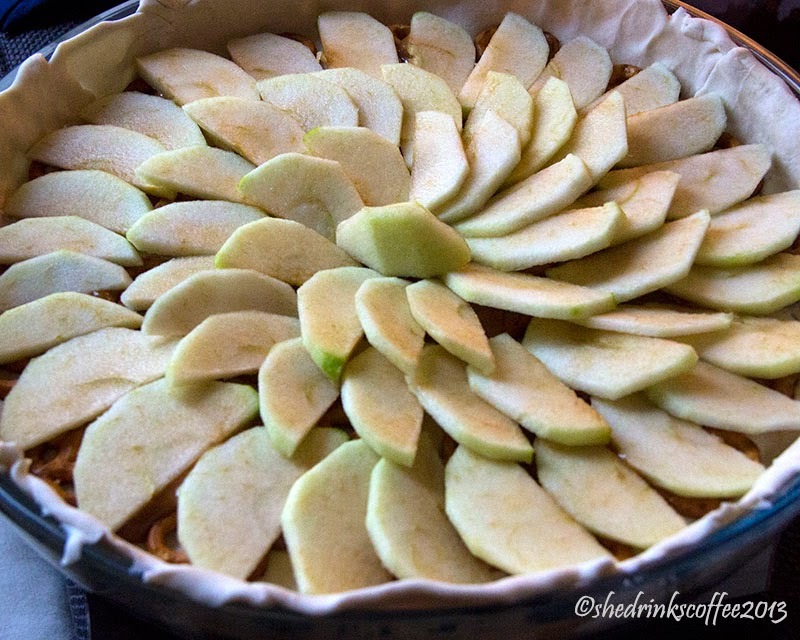 Arrange your thinly sliced apples in a spiral over the crust layer. 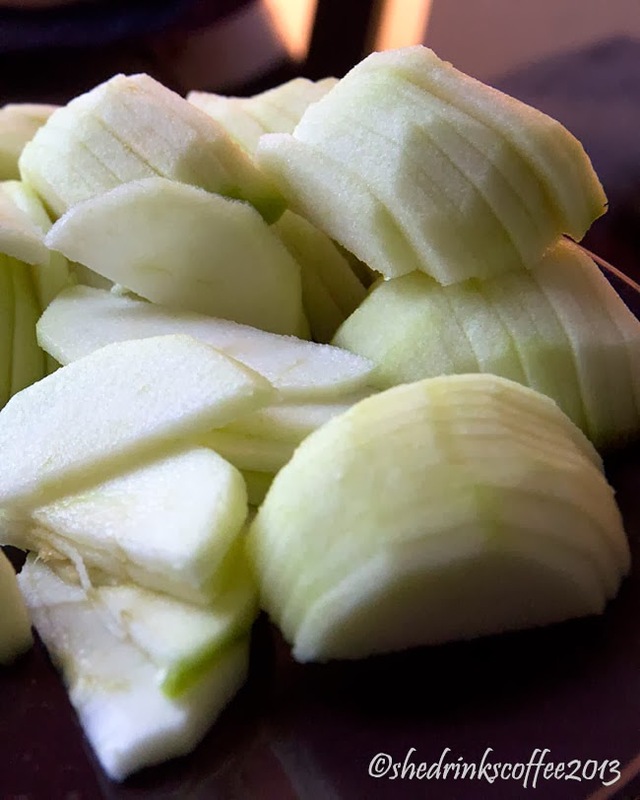 Then drizzle this first apple layer with caramel sauce and a pinch of sea salt, and lay down another spiraled layer of apple slice. 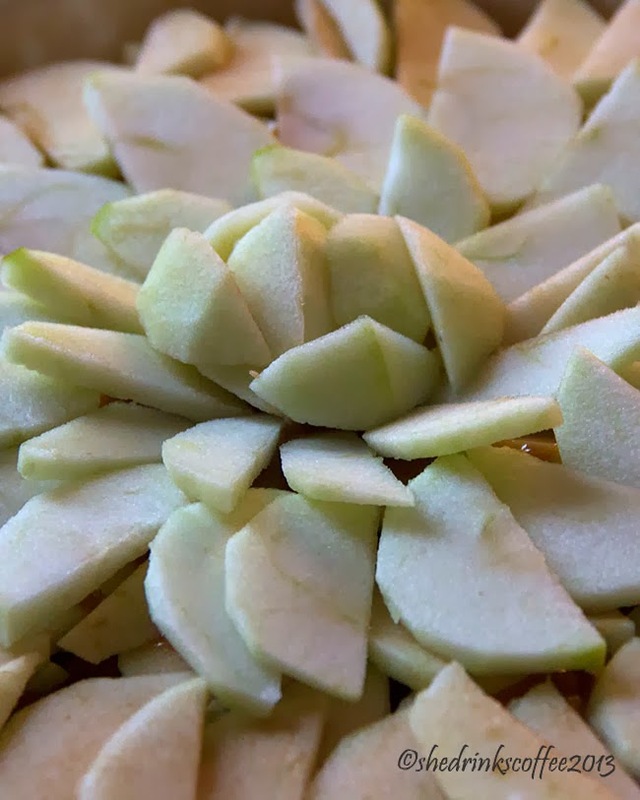 Finally, drizzle the remaining caramel over the top layer of apple slices, sprinkle with one more pinch of sea salt, and pop into the oven for 30-45 minutes, again taking into account the directions for the pie crust you use. Let cool for at least five minutes before slicing. I ate this on its own (and a little more of it than I should have, if I'm being honest), but it would be really tasty warm and a la mode. 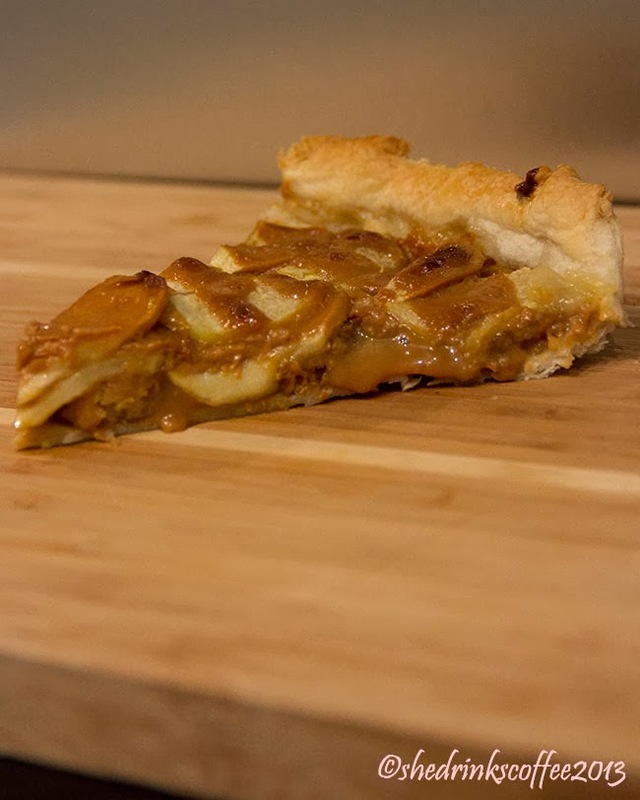 What pie isn't, really?